Ava Hazel Gammel Watkins, age 91, resident of Somerville and wife of the late Aubrey Anderson Watkins, departed this life Friday evening, October 19, 2018 at her residence. A Funeral Service for Mrs. Watkins was held at 1 P.M. Friday, October 26, 2018 at Morris Chapel Baptist Church in Somerville. The officiating ministers were Bro. John Ed Watkins, Bro. Gary Joyner and Bro. Brandon Bishop. Interment followed in the Morris Chapel Cemetery. Arrangements were provided by Peebles Fayette County Funeral Homes & Cremation Center – Main Chapel of Somerville. Mrs. Watkins was born March 3, 1927 in Fayette County, Tennessee. She was a member of Morris Chapel Baptist Church and a lifelong resident of the Somerville area. She was a homemaker throughout her life and enjoyed raising her family and the many special times she had with them, cooking and farming. Mrs. Watkins is survived by four daughters, Hazel Taylor (Edward) of Memphis, TN, Nelle Burgess (Ross) of Middleton, TN, Ava Pulliam (Harlan) of Somerville, TN, Lisa Joyner (Gary) of LaGrange, TN; eight sons, Joe David Watkins (Robbie) of Middleton, TN, John Ed Watkins (Donna) of Hickory Valley, TN, Leon Watkins (Dale) of Somerville, TN, Ray Watkins of Somerville, TN, Kenneth Watkins (Sandra) of Somerville, TN, Jerry Watkins (Karen) of LaGrange, TN, Jimmy Watkins (Shelia) of Somerville, TN, Timothy Watkins (Andrea) of Hickory Valley, TN; her brother, Gene Gammel of Bolivar, TN; 37 grandchildren and a large number of great-grandchildren and great-great-grandchildren. 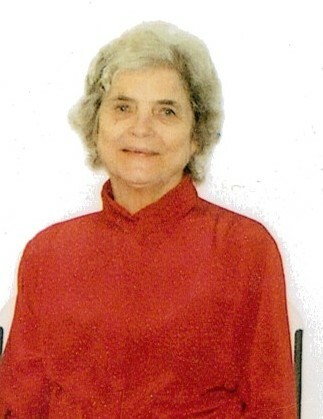 She was preceded in death by her husband, Aubrey Anderson Watkins who died June 5, 2001; her parents, John Hillie Gammel and Euphie Mae Houston Gammel; her sister, Shirley Byrd; her brother, Bill Gammel; and two grandchildren. Pallbearers were family members and friends and the family requests that memorials be directed to the church, charity or organization of the donor’s choice.